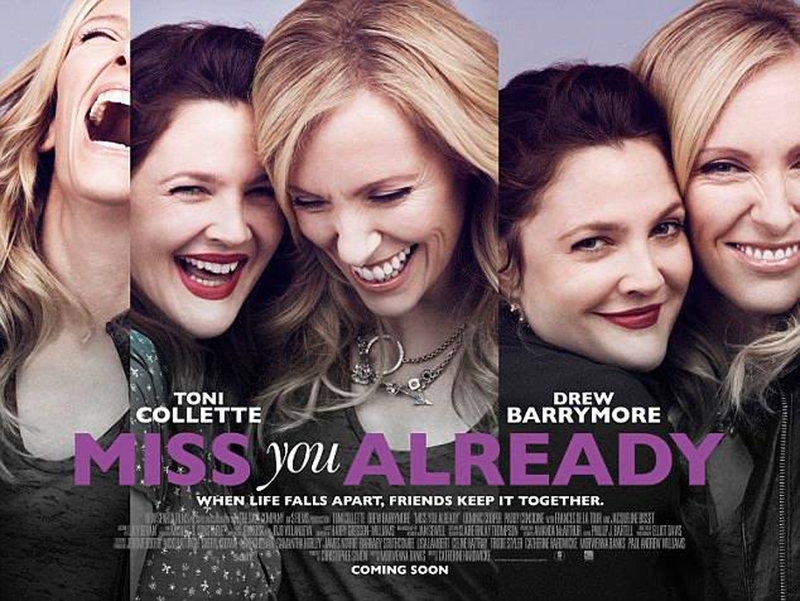 Check Out The ‘Miss You Already’ Trailer!!! ‘Miss You Already‘ from director Catherine Hardwicke (‘Twilight‘, ‘Red Riding Hood‘, ‘Lords of Dogtown‘) starring Drew Barrymore and Toni Collette, Dominic Cooper and Paddy Considine is coming to theaters November 6, 2015. Milly and Jess have been best friends forever. They’ve shared everything since they were kids – secrets, clothes, laughs, substances, boyfriends… now they are trying to be grown-ups. Milly has a high-flying job and lives in a beautiful townhouse with husband Kit and their two kids. Jess is a town planner and she and her boyfriend Jago live on a bohemian houseboat on a London canal. Their friendship is as rock solid as ever. That is until Jess struggles to have a much longed-for baby and Milly finds out she has breast cancer. How do you share that? Check Out The Trailer For Michael Fassbender’s ‘Macbeth’!!! This entry was posted on Thursday, September 3rd, 2015 at 10:08 am	and is filed under Film, News. You can follow any responses to this entry through the RSS 2.0 feed. You can skip to the end and leave a response. Pinging is currently not allowed. « ‘Welcome to Death Row’ Being Shopped As Sequel To ‘Straight Outta Compton’!! !